Channel 10 video from February 2007. 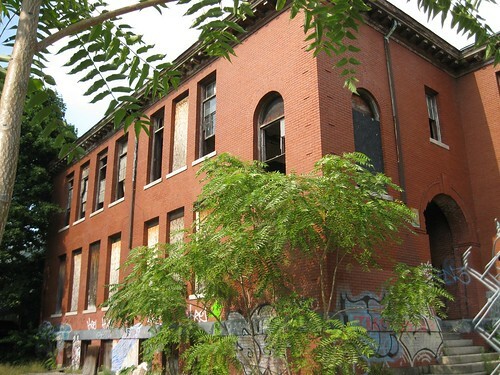 Come learn the history of this school and how you can help save this endangered historic building. Bring your camera and camera phones to take photos for SeeClickFix. Sponsored by the West Broadway Neighborhood Association and the Providence Preservation Society. You may recall, because I keep bringing it up, that Federal Hill resident, Assistant City Solicitor, and candidate to succeed Steven Costantino in the General Assembly, Michael Tarro and his family own this building, and Mr. Tarro has repeatedly ignored all court rullings, right up to the state Supreme Court, ordering that the building be fixed. 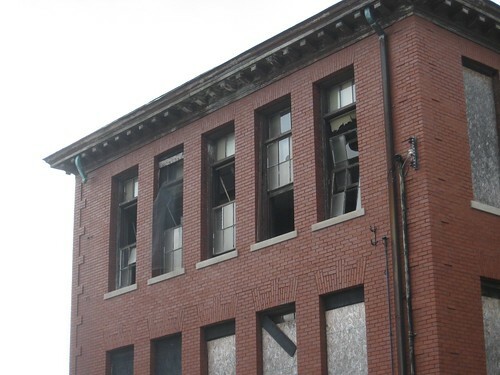 Attendance is critical due to the fact that the owners, which includes Michael Tarro who is running for Steve Costantino’s open State Rep seat, are refusing to either fix the building or sell it so that someone else can fix it. It has become a neighborhood eyesore as a result of the owners’ negligence and illegal actions. 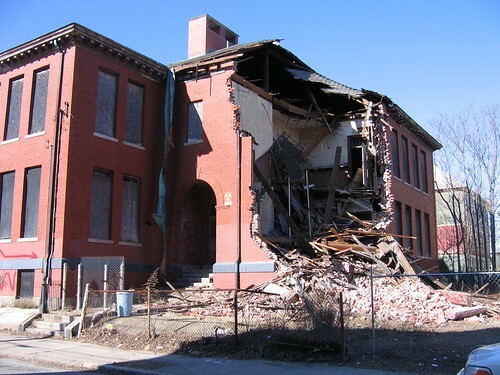 The historic school apparently had a “do not demolish” order attached to its front doors when the owners attempted to illegally demolish the building in February 2007, allegedly to create a parking lot. There has been a long legal battle over the property since its attempted demolition, with the Tarro family perpetually appealing it in court. At this rate, the building will fall down through mere neglect. Why should you care? The property could be redeveloped to create jobs and housing. Turning the site into a parking lot serves no one in the community. The property is considered a significant historic property that is symbolic of a great wave of immigration (of mainly Italian immigrants) to our neighborhood at the turn of the century and is a piece of the city’s heritage. 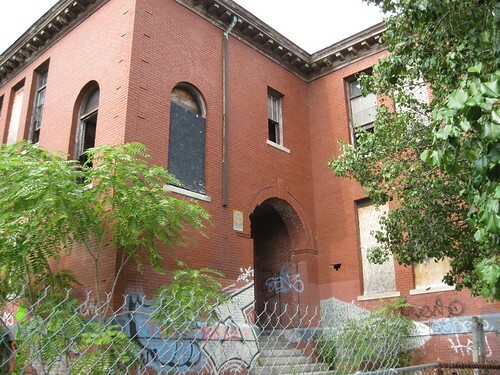 Please note that this school has been on the National Register of Historic Places since 1974 and there are several interested buyers. Not to mention that Tarro owes taxes on at least four properties within the city. He has no standing to be a state representative. I also note Tarro’s campaign web site is devoid of content. 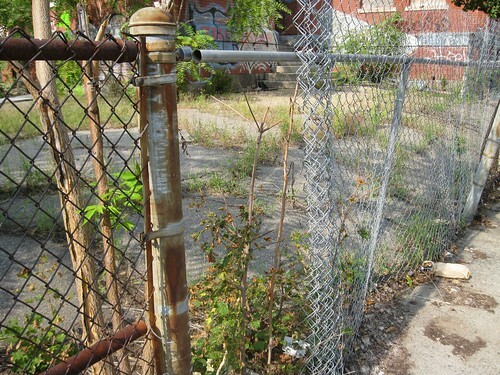 The weeds, and actual trees growing out of the school in the Aug. 2010 photos above have been cleared, and the hole in the fence has been mended, though there is now another even bigger hole in the fence closer to the demolition area. The city had threatened to start fining them for every code violation including things like weeds (why the city hasn’t been fining them for the last 3 years is beyond me).